Nicosia (AsiaNews/Agencies) – Turkey will continue explorations on the Mediterranean seabed off the coast of the Greek side of Cyprus, an official source said on Monday. 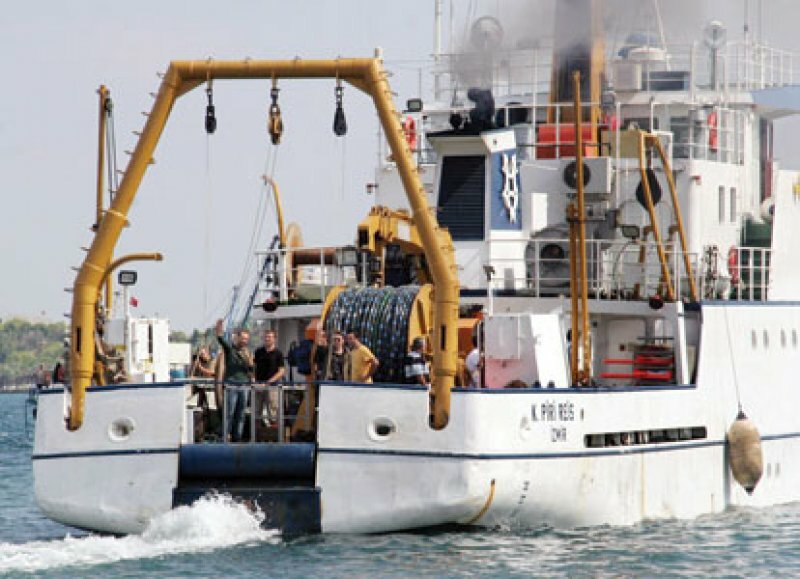 The Piri Reis research vessel is equipped for exploration and stopped yesterday at the port of Famagusta for resupply. Diplomatic sources said it left afterwards to continue exploration in the south, contrary to earlier reports that said it was bound for the port of Izmir. The ship has completed its work on Block 12, a zone where Greek Cypriots have begun drilling for oil and natural gas. Turkey and Turkish Cyprus (which is not recognised internationally) have signed an agreement with regards to the continental shelf to define their maritime borders with the goal of joint gas and oil exploration. However, some of the areas included in the agreement fall within a region claimed by the (Greek) Republic of Cyprus, a European Union member. Cypriot President Dimitri Christofias said last Saturday that drilling for oil and gas would continue, despite Turkish opposition. For the Cypriot leader, his nation’s right to search for potential mineral deposits inside its exclusive economic zone is non-negotiable and that any foreign meddling is unacceptable. The rush for gas began in June 2010 when a large gas deposit, named Leviathan, was found 130 kilometres off the northern coast of Israel. With an estimated 450 billion m3 of gas, such a discovery has the potential of making Israel a natural gas exporter, said the president of Noble Energy, the Houston-based company behind the find. Lebanon reacted immediately to the announcement, claiming that the deposit was within its maritime borders, thus creating a problem over gas exports. The cheapest way would be to build a gas pipeline between Israel and Greece to Bulgaria, Italy and other Balkan nations. However, costs would be very high and the undertaking would be possible only if one or more countries accepted to purchase the gas for many years. According to geologists, Leviathan is probably not the only deposit and that other fields could be discovered in the Eastern Mediterranean, as far west as Cyprus and as far north as Syria. The situation has led to a major improvement in relations between Cyprus and Israel. President Christofias has already visited Israel, and his Israeli counterpart is set to visit the island nation shortly. The two countries have also signed an agreement on delimiting their respective Exclusive Economic Zones (EEZ) and on co-operating in oil and gas exploration in Cyprus’ EEZ, which has been undertaken by Noble Energy in cooperation with the US State Department and the US Embassy in Nicosia. Cyprus also intends to act as a natural mediator between Lebanon and Israel in their dispute over Leviathan. Yet, gas discoveries in the eastern Mediterranean are raising tensions that go beyond the Turkish-Cypriot dispute. In Cyprus, newspapers are reporting increased Turkish aerial activity around the island, with nighttime research and rescue training operations. At the same time, Israel is monitoring Turkish moves with unmanned drones circling the drilling area. Both Greece and Russia have backed the Cypriot position on the natural gas issue. Moscow also wants some licences to develop some of the fields and is in favour of a cooperation agreement with Cyprus. The Russian aircraft carrier ‘Admiral Kuznetsov’ is expected in the eastern Mediterranean region next month, carrying a large number of Russian fighters. A submarine is also on its way for “patrol purposes” as part of exercises with other countries in the area. The arrival of the Russians coincides with the expected announcement by Noble of its initial drilling results.